April is National Poetry Month and that means that there are many exciting events happening. 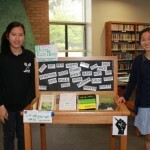 The 8th Graders already had a poetry reading in the library and shared their own compositions. 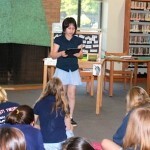 The Middle School literary magazine is coming out soon and will be filled with poetic renderings. Are you feeling poetic? Don’t forget that April 29th is Poem in Your Pocket Day. Have a poem in your pocket and you could win a prize. You can also share your poem selection on Twitter by using the hashtag #pocketpoem. 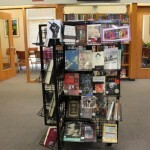 Check out the displays in the library to get inspired and bring out your poetic side!